Do you want to eat burgers, chocolate cake, frozen margaritas, fudge, and French fries–and still fit into your pants? Is life not worth living without brownies and onion rings? Do you want a surefire way to tame your cravings? From breakfast ideas and chopped salads to guilt-free junk food and cocktails, Hungry Girl recipes taste great but are low in fat and calories. Check it out! * With easy instructions, simple steps, and hilariously fun facts and figures, Hungry Girl recipes are as fun to read as they are to make! And when you’re not in your kitchen, check out HG’s 10 mini survival guides, plus tips ‘n tricks that’ll help you make smarter food choices anywhere, anytime! Just because you’re watching your waistline doesn’t mean you need to go hungry. 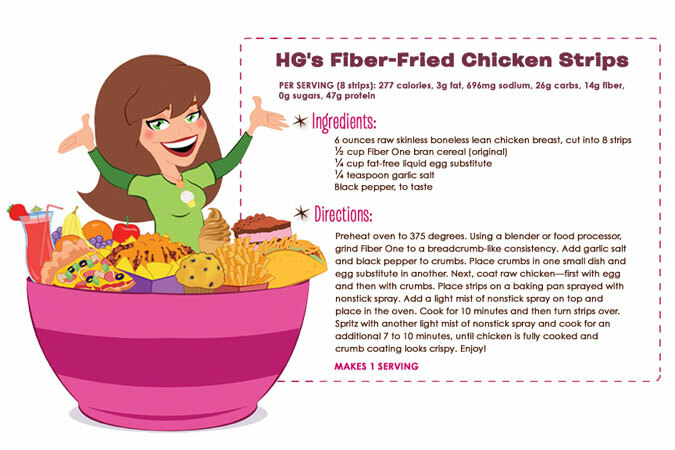 Recipes from Hungry Girl–like the Fiber-Fried Chicken Strips featured below–feed your every craving without piling on the calories. What’s more, Lisa Lillien’s lighthearted love for food and fun shines through in every recipe, making it easy to follow her healthy example and even come up with your own simple calorie-saving shortcuts. Most quick and healthy cookbooks define “quick” as 30 minutes. In this step-by-step cookbook, registered Dean Irwin takes the term to Olympic speeds, offering 12 weeks of recipes for healthy dishes, each of which can be prepared in just ten minutes! Vegitarian with 20 year shelf life. 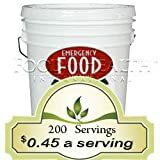 With all of the recent disasters that have been occurring in the world, more and more individuals and families are becoming aware that no one is immune from these adversities. In the year 2006, 52 presidential disaster declarations were made in the United States; and already, as of the 16th of January of 2007, six emergencies and disasters have been declared for the United States. Though the most common emergencies and disasters have been severe weather storms, flooding, and landslides; we have been told that many areas, are at risk for earthquakes. We, at Angelia’s Flowers & Gifts want to help you get prepared so that you can enjoy life with your loved ones and not have to worry about their welfare. We want you to be able to feel confidence when faced with a disaster. We offer you not only the essentials, but what will provide the most comfort and peace of mind in those trying times. 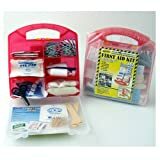 Perfect to supplement our Deluxe or Complete Family Emergency Survival Kits that are listed in our store.